How ShipperFreight.com combines safety, speed, and awareness to provide quality shipper freight services. ShipperFreight.com is committed to upholding the three most important elements of shipper freight success: safety, speed, and awareness. We use specialized tracking devices to stay aware of our goods at all time, comprehensive route planning to increase speed, and advanced storage to increase safety. Investing in quality drivers also advances all three goals, giving us personnel with the skills to avoid inventory damage and stay on schedule. 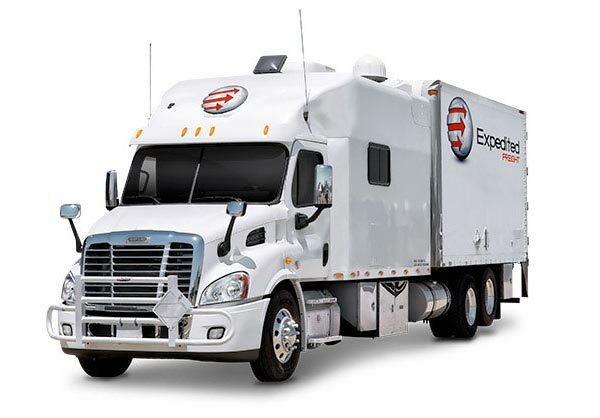 Through these expedited freight solutions, we have served hundreds of clients successfully. Speed - Shipper freight services must be able to provide same day, next day, and overnight deliveries. Only then can they respond effectively to supply shortfalls and shipping emergencies. Safety - No shipper freight company worth your business cuts corners on safety. Through effective storage, safe driving, and other precautions, your carrier can keep your goods in pristine condition along the entire route. Awareness - An effective carrier never loses track of their vehicles. You should look for a company that invests in advanced tracking technology and uses that technology to its full potential. ShipperFreight.com upholds safety, speed, and awareness on all deliveries. By planning our routes carefully ahead of time, we avoid obstacles and shorten delivery times, allowing us to provide reliable same day and overnight service. Likewise, by using storage devices tailored to the specific products we’re hauling, we prevent our cargo from being damaged. Finally, we track each truck diligently along the route, ensuring that everything is going according to plan and responding quickly if something is wrong. Of all the steps we take to enhance speed, safety, and awareness, none is more important than investing in our drivers. By selecting only the most skilled and reliable applicants, we ensure that our trucks will stay on their routes and arrive on or ahead of schedule. Likewise, by teaming our drivers up and requiring them to take turns at the wheel, we give each enough rest to work safely. Finally, our drivers have the integrity to give us accurate reports while en route, ensuring that we know everything about the condition of our trucks and your order. For more information on ShipperFreight.com’s services, contact us at (800) 713-1000 today.